Stipulated: I need better pictures for not-so-techie audiences. 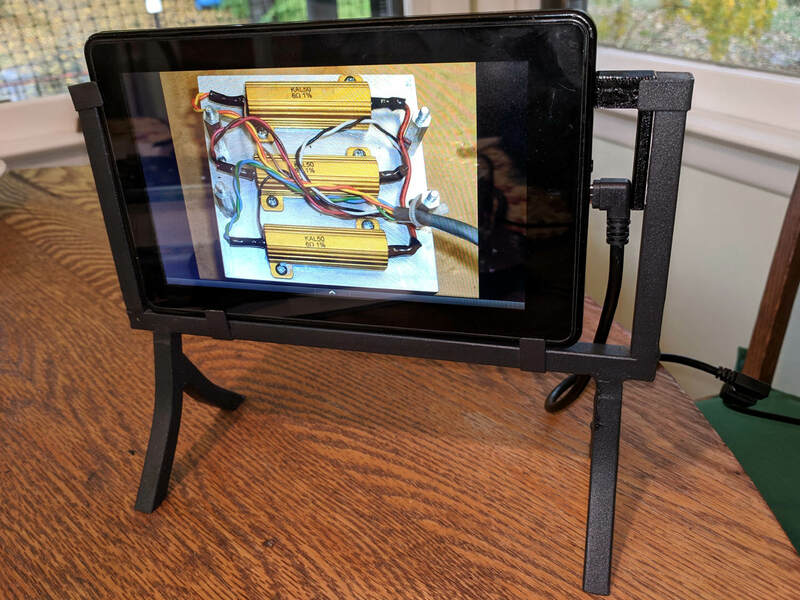 Anyhow, my long-disused Kindle Fire fits perfectly into the welded-on clips, with just enough room for a right-angle USB cable, and Photo Frame Slideshow Premium does exactly what’s necessary to show pictures from internal storage with no network connection. A strip of double-stick carpet tape holds the block onto the frame. To extract the Kindle, should the need arise, slide it upward to clear the bottom clips, rotate it rearward, and out it comes. 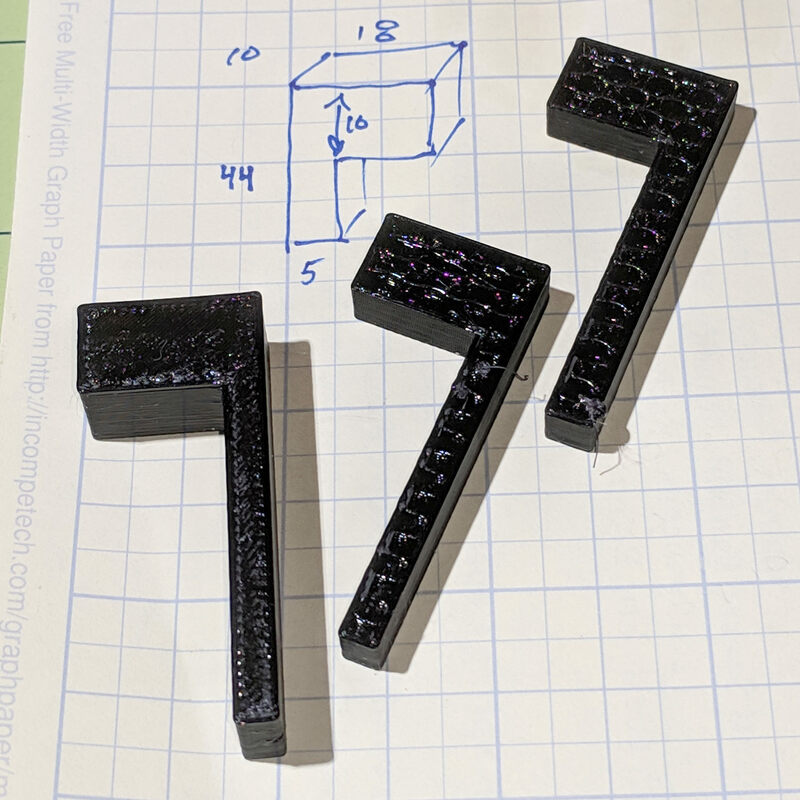 Getting a good block required three tries, because the basement has cooled off enough to trigger Marlin’s Thermal Runaway protection for the M2’s platform heater. A test fit after the first failure showed the long leg was 1 mm too wide and, after the second failure, I reduced the fan threshold to 15 s and the minimum layer time to 5 s, producing the third block without incident. The platform heater runs at 40 V and I considered bumping it to 43 V for a 15% power boost, but it has no trouble keeping up when the fan isn’t blowing chilly basement air across its surface.